Totally funky I know, but I couldn't resist. I picked a few recipes I can use. I thought it would at least make just a good storage container for recipes. This recipe box is called "McCall's Great American Recipe Card Collection"
I'm late, I'm late :o) I meant to finish this last week. http://www.agracefulllife.blogspot.com/ thank you thank you thank you! Pass it along to 15 blogs you’ve recently discovered and enjoy. 1. Even though I'm the queen of garage sales and thrift stores, I could never buy cups, bowls, plates or silverware because I have issues with germs. 3. I dislike horror movies. 4. I use to want 7 kids (key word, "use" to). 5. I would love if I could go to the gym everyday. 6. I love to walk alone with my mp3 player blaring. 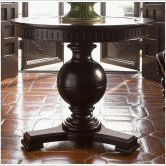 So if you remember we talked about the awesome coffee tables that CSN Stores offer. I had never even see anything like this coffee table. 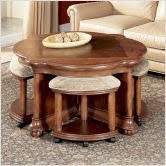 I had decided since I have a toddler toddling around that maybe a round coffee table would be more safe. The basement area is going to be her play area. When I first posted that we were going to have a CSN Giveaway, it was special for reaching 200 followers. Now we are at over 300! Woot woot! Thanks everyone. 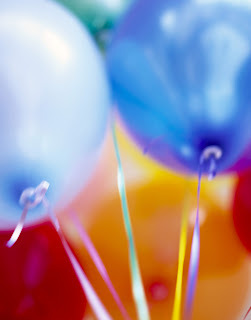 What a great way to celebrate a milestone like that with a wonderful giveaway with a wonderful company. 1. Must be a public follower of my blog and leave your email address. The fun part, lets go shopping! 2. Go to AllCoffeeTables.com and use this left side search options and leave a link of what coffee table you would want; glass, marble, wrought iron, or wood. 3. Under "browse by brand" tell me which brand you like best. 4. Go to CSN Stores and tell me what you would get with your $35 gift code. This piece of furniture came from IKEA. It was a baby changing table and then once you are done with the changing table part, you remove it and it's a bookshelf, or in my case a way to display my junk. I'm not 100% happy with the arrangement and or items on it. But it's a work in progress as I pick up new things on my 2nd hand shopping. Some of it is Longaberger pottery I picked up at garage sales, or leftover from when I use to sell it. The silver stand on the bottom came from the Salvation Army for $1. Of course it's not real silver though. On the other bottom shelf is an Anchor Hocking glass 13x9 dish with a silver colored dish holder. I will have to play around with arrangement more and hopefully will find some more new, cool items to display! The first picture is me. Jealous? Just kidding. The second picture is. I wanted to show what this black tank top looks like on someone who has been pregnant 5 times lol. Can I just say I love this company. Lipo In A Box has been featured on The Oprah Winfrey Show and QVC. This patented design makes you look slimmer and is comfortable to wear. The company was founded by Connie Elder who donates part of the proceeds to her innovative products (Lipo In A Box, Underology, and Go 2 Bras) to domestic violence shelters and breast cancer research. The reason why I picked this item to review is I have alot of jackets and cardigans that require a tank top underneath. It seems like my tank tops never hold up well, and can make the whole outfit look frumpy. So I thought with this tank top not only would I look slimmer, but more put together with a nice high quality tank top underneath my cardigans. It came nicley packaged with information about the company and really nice color catalogue. The tank top came with an undergarment bag to wash it in. On the outside of the bag, the directions said to step into the tank top to put it on. So I did. I'm not going to lie, it takes a little effort to put the tank top on but it's well worth it. You know how you have those beautiful shoes that you love to wear to special occassions but you know you can only wear them for 2 hours before you want to cut your feet off? Or maybe you have a body shaper that helps make you look slimmer but is very uncomfortable to wear and you are always adjusting it? This tank did not bother me. I could wear it all day comfortably. Lipo In A Box is offering 15% off anything, good for 30 days from this post. One lucky reader will win #46635 Long Tank. Must be a follower of my blog. Go to Lipo In A Box and sign up for the newsletter (bottom left side) leave me your email address in comment. Good Luck. Open to US only please. Giveaway ends Oct. 4, 2010. Winner will have 48 hours to respond to my email or I will pick new winner. I was sent the tank top for review. I received no compensation for this post and all opinions in this post are my own. I was not required to post a positive review. I love dressing kids up for Halloween. But I have felt like alot of the stores don't carry quality costumes and the selection is always lacking. Every year I would caravan to all the stores trying to appease my children and to find the right costume and right sizes. For some reason I had never thought to buy costumes online. I contacted Costume Discounters for a possible review and they said yes. I go to the website and was shocked at the prices. The prices are just as cheap as places like Target or Walmart and in alot of cases cheaper. No more driving around to 10 stores trying to get the right costumes and sizes for your kids. One stop shopping at an easy to navigate website is the way to go. We obviously chose the infant bunny costume. This costume is totally a bargain at less than $23. I could have never found this nice of a costume for that price anywhere else. We live in an area where one year the weather on Trick or Treat night is 70 degrees and the next year it could be 40 degrees. I got this costume in case it's a little on the chilly side. It's made thick and comfy. It comes with gloves that are the bunny hands. It is made very nice and my order came super fast. Costume Discounters stand by their prices and offer extreme value for their customers. If you find the identical costume elsewhere on the internet, they will match the costume price, PLUS take off an additional 20%! Costume Discounters offers free 2 day delivery on orders $70 or more. I love the selection of the infant costumes. The kids costumes are very original and high quality. I received this costume free to review. I was not paid for this review and all thoughts and opinions are my own. whisk in a saucepan until everything is melted and mixed. Add 1/2 cup parmesan cheese and 1 teaspoon of garlic powder. Simmer for about 15 mins whisking frequently. Salt and pepper to season. I served with mini bowtie noodles. Proof, then add 1 teaspoon of salt, add 1 tablespoon of rosemary, 1 tablespoon of butter and 2.5 cups of flour. Mix together and then knead for 10 mins. Place in well oiled bowl and allow to sit for one hour. Punch down, knead a little bit more. Shape into rolls and place in greased round pan. Sprinkle more rosemary on top and bake at 350 for around 10 mins. Top with butter (herbed butter would be really good, or garlic butter). Has anyone got out the fall decorations? I did. I left the Halloween decorations in the basement but brought up anything that was autumn-y. I bought those cute leaf placemats at Walmart for $3 a piece. It killed me to spend $12 on placemats since I'm the garage sale/thrift store queen. But I loved them. They have other colors too. I still haven't painted the fireplace and I still don't like it red. I'm just so busy and have been working on other home projects. My husband thinks if I paint it white it will not stand out since the walls are cream colored. I say, who cares what he thinks. He is a man. He wanted to paint stripes on our master bath walls and even paint every other blade on the ceiling fan. If I listened to him, our living room would be decorated with posters of cars and Tarheels logos painted on the walls. My fireplace mantle is a work in progress. Can't seem to decide how I want to decorate it. So here's what I decided. When I go thrift shopping or go to garage sales, if I see home decor items I like for $1 or less I just buy it. Even if I have no idea where to put it, or it doesn't match anywhere in my house. Then I can frequently change things out without spending alot of money. If I never use something I can just sell it in my own garage sale for what I paid for it, and not be out any money. That amber colored candle holder on the mantle is something that I never thought I would put on the fireplace since it's red and doesn't quite match. But with all the autumn decorations, it looks nice. Once the fall decor is gone, I will move it to my master bath. I paid $1 for it as well as for the candle stick on the end. If I paint the fireplace white, I will probably spray paint the star a different color. Just don't know what color yet. I do, I do? Do you? Well I may have just the thing. I am giving away the book, "Tracy Andersons 30 Day Method". What a great book to read and use before the holidays hit. This book also includes a workout DVD! Tracy utilizes smaller accessory muscles in her workouts to create and longer, leaner look. She also focuses on using muscles in a way that they are never bored. The book shows workout moves, meal plan, recipes and of course the DVD. Does Tracy Anderson sound familiar to you? She is the fitness guru to the stars like Madonna and Gwyneth Paltrow. Heat a saucepan over medium heat. Spray with olive oil. Add garlic and saute for 1 minute. Add the stock and spinach and cook for 1 to 2 minutes. Serve immediately. Win a copy of this book for yourself. Do you want to try the 30 day challenge? Contest ends Sept. 30, 2010. Open to US and Canada but no P.O. Boxes. secretly I just wanted a reason to use this picture. weeeeeeee! weeeeeeee! Bring sugar, cocoa, oil and milk to a boil on medium heat. Once it's at a rolling boil, boil for 1 min. Remove from heat and stir in oats, pb and shredded coconut. Drop by spoonfuls onto waxed paper and allow to set. I had been seeing the cutest baby headbands complete with little flowers everywhere lately. Especially on the show 19 Children and Counting. I thought they were so cute but honestly hadn't seen anything like that in the stores. So I contacted Flowerz In Her Hair for a possible review/giveaway and she said yes. Not only that but she sent more than I even asked for. What great customer service! I love these products. The headband is beautifully made and they use high quality materials. As you can see the pink headband easily fits a baby. They also offer the other type of headband on my beautiful older model. The flowers clip onto the headbands. Or you can wear the headbands alone... or you can use the flowers alone. There are so many possibilites. No need for hundreds of hair bows/bands that get lost. On my older child is the woven headband. This is way more beautiful in person. On the baby is a stretch crochet. I was sent a beautiful white flower too, but for some reason did not get a picture of it. It's beautiful! Honestly I had the baby in mind when ordering these, but my older girls LOVED these and immediately was putting them in their hair and matching them up with their outfits. They are perfect for babies, older children and teens would love the flower clips. Must be subscriber to my blog. Go to Flowerz In Her Hair and tell me what flower or headband you like best! Please leave email address in your response (only have to leave email once). Good Luck, Open only to US residents! Contest ends Oct. 3, 2010. An email has been sent and winner has 48 hours to claim prize via email, or new winner will be picked. Mix together. Add essential oils if you want (lavender would be good). You may even be able to scoop all this together and throw into an old deodorant container. check out post below and enter the Tropical Traditions coconut oil giveaway! I have been dying to try this coconut oil. I had seen many reviews for this oil on other blogs. I kept entering the giveaways but never won lol. Luckily Tropical Traditions felt pity for me and sent me one to review and a chance for you to win the same! Now you may be surprised by the calories in coconut oil. Don't worry. Coconut oil is a healthy fat (like natural peanut butter, avacodo etc). There are many health benefits to coconut oil. The picture above is my attempt at making something with the coconut oil. I used my Cake Mix Cookies recipe. First of all, just making these cookies I was treated to a wonderful scent. Usually cookies smell good while baking and fresh out of the oven. Using the coconut oil, the wonderful smell was immediate! I noticed the dough was easier to work with as opposed to when I used vegetable oil. It held together nicely. So instead of dropping teaspoonsful, I rolled into balls, placed on cookie sheet and then gently flattened. This made for more rounded and uniform cookies. After they came out of the oven, my kids went crazy for them. All I had was plain yellow cake mix, so the oil added a very faint flavor. The flavor is not too strong though that I would worry about mixing coconut oil with another flavor. It's not overpowering, and very complimentary to any flavor. My kids LOVED them. And honestly, I don't think I want to go back to making my cake mix cookies with vegetable oil now. It's just not the same. I was very low on groceries (I still haven't gone to the store) so I was limited on what I made. The above was just a plain yellow cake mix that I sprinkled a little brown sugar on top before baking. I thought it would have tasted great with a pineapple cake mix though! Then the cookies could have been kinda like a pineapple upside down flavor. Honestly the kids didn't mind at all. My 3rd child ate like 8 of them lol. They were so soft, and turned out perfect. 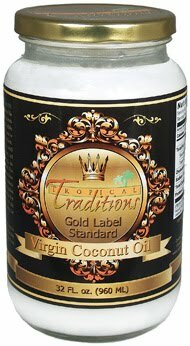 Mandatory Entry: Go to the Tropical Traditions Coconut Oil page above and tell me something you learned about the oil and be sure to leave your email address. Must be a follower of my blog please. Check back through the week I will feature more recipes using Tropical Traditions Coconut oil! Disclaimer: I received this product free to review. I was not paid for my review and was not required to write a positive review. All thoughts and opinions are my own. From 1955. It must have been the cookbook that came with an Osterizer Blender. I love the picture of the ladies in the test kitchen. I bought this at a garage sale that had so many amazing things. And everything had great prices. I just had very little money with me, and I don't want my husband to plan a thrift/garage sale intervention on me. I paid $1 for this gem. The damage was done. She opened up her Gerber Graduate Puffs, fed some to the dog and poured the rest on the floor. I grab the can she moves off to the drawer and takes everything out and then moves to the magazine rack and throws the magazines out. I couldn't keep up! Where's my coffee today? Last year I had bought a juicer from OVERSTOCK.COM. I poured over reviews from all the major websites trying to carefully pick the model and brand. Then once that was chosen, I was on the hunt for the best price. Overstock was the lowest price, so I put in my order and waited patiently for it to arrive. I didn't have to wait long. It came way faster than I expected. Great service (and low shipping). I was checking out coffee makers. Yes I went from healthy juicing to drinking coffee, don't judge me. 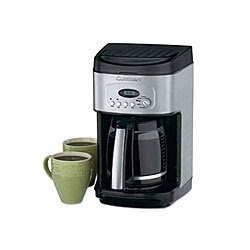 I have been hesitant to buy coffee maker because you know, I was not a coffee drinker. I just drank instant coffee every morning. But that doesn't mean anything. I might be drinking a grande pumpkin spice latte with an extra shot of expresso right now, but that still doesn't mean I'm a coffee drinker. Maybe it's time to buy a coffee maker. Stop drinking instant, and enter the world of gourmet coffee. It caught my eye, or maybe it was just the words "self cleaning" that did. Or the Keurig would be nice. I don't mind that it brews a single cup, because that is usually all I drink and my husband doesn't drink coffee. 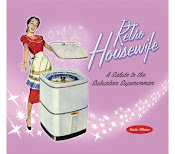 For my readers, Overstock.com has been so gracious as to offer us a 10% discount code! all the ideas and opinions expressed are my own. No monetary compensation was received for doing this post, however I was provided with a discount code. Sorry, could not get codes to work today. Check out all these blog hops, lots of great blogs to follow. This is my go to cookie recipe. Especially for school parties and functions. It's made with cake mix. So it is cheap and the possibilities are endless. Usually for Valentine's Day parties I use red velvet cake mix and strawberry cake mix to make pink and red cookies. Christmas time you can add in red and green m&m's. Halloween you can make these dark chocolate cookies, maybe with peanut butter chips. My son's class loves when I take the lemon cake mix and add in lemon extract. that is it. Mix and put teaspoonful on a cookie sheet bake 8-10 min at 350. For the above cookies I used Devil's Food cake mix and chocolate chips. The key to these cookies is taking them out of oven before they are fully cooked and let them continue cooking on the cookie sheet. These cookies should be soft (and they stay soft too). Tip: Stock up on cake mixes when they go on sale for .99 cents or less. Lots of recipes call for cake mixes. 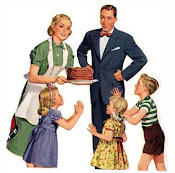 Some of the most frequently called for cake mixes are spice cake, yellow cake, chocolate cake and white cake mix. I went to the Salvation Army. Got the candlestick for $1. The wall stickers were .35 cents a pack! You can use these things other than just on the wall. Take a large bowl and put 2 cups of warm water and 2 tablespoons of brown sugar, stir. Add 2 tablespoons of active dry yeast (or quick rise yeast). Add in 5 cups of flour. Mix well. Knead. Place in well oiled bowl and cover. Let sit at least an hour. Place alfredo sauce (I used jar for pizza), then chicken and then mozzarella cheese on pizza dough. This is sooo good. Sometimes I add a salty seasoning to the outer crust of the pizza (mix garlic salt and some italian seasonings). I was looking at the coffee tables. We are re-doing our finished basement to make it look, well less like a basement. Our living room has a coffee table like the one above. You can lift the "table" part to it up so that you can work more comfortably on bills, homework or working on your laptop. It's modern and offers storage space. Which is something I lack in my current furniture. I was also able to browse by selecting the tabletop I wanted. I had considered maybe granite or marble considering we seem to be so rough on wood. So I wanted to do something special for reaching 200 followers. I was contacted by www.csnstores.com to do a giveaway for my readers. One lucky reader will win a $35 giftcard to CSN Stores. Lucky you! CSN Stores has thousands of products from baby items to cookware. The company has been really good to us bloggers so next time you need to make a purchase check them out! The prices are great and the selection is amazing. They have an easy to navigate website, which is saying something considering how much stock they have. So check out http://www.csnstores.com/ and check back in a few days! Sometimes I like to think of twists to regular dinners we have. Of course like most people tacos are on our weekly menu quite frequently. Here is a twist. Instead of buying soft or hard taco shells I got the tostados. I just had a ton of stuff out and everyone could make their own. and the ususal stuff; sour cream, peppers, taco sauce, shredded cheese etc. I would have loved to had some black beans and cilantro. How Often Do You Mess Up Recipes? I really need to concentrate to cook. My kitchen is a zoo though, so sometimes I make one rash decision or I don't read the recipe well and I mess up. It's become even harder with the baby following me into the kitchen getting into stuff while I cook. She is at that age where you have to constantly watch her. It is AWESOME, even though I messed up. Sorry about the terrible picture but the kids dug in before I even got a pretty picture lol. This one I did not beat the egg whites until the soft peak stage. I must've used too big of a bowl to beat the eggs so the hand mixer was hitting on the bowl and making an awful sound. I thought for sure the cake would not turn out but guess what, it did. So it must've been pretty fool proof for this fool to make it! Both recipes were yummy! I love getting recipes from other mommy bloggers. I know they have made them and liked them and I like having pictures of what the finished product will look like. 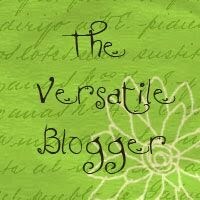 What are some of your favorite recipe blogs? The Yoplait Prize Pack winner is Shonda. So the cat this time decided to try out the playpen. I might as well throw a diaper on him and call it a day. At least I wouldn't have to clean out the litter box. Paperlicious, I even love the name. I think anything sounds better when you put a -licious on it. I love this website. They have eco-friendly stock and very affordable prices for invitations, momager cards, notes and luggage tags. I fell in love with the momager calling cards. Now that school is in, does your child come home and say "Abby wants me to come over tomorrow?" And you are like "Who is Abby, the girl that ate the hand sanitizer last week?" You tell your child that you need to set a playdate up with the mom. This has happened numerous times to me. With these cards you can send one in for your child to give to their new friend at school and the mom will know you want to be in contact. 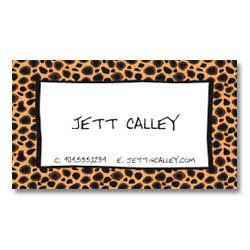 I ordered the cheetah print cards. I had my kids name printed on them, my website (shameless plug), my cell number and email address. After I got them I realized maybe I should have put my home address on there as well lol. Shows how technology has changed how we interact, my first thought was cell, email and my website ;o) All the more reason to have these cards to stay in contact with people you meet. You know, real human interaction! I already gave one to my daughter's cheer coach and now I'm just waiting for the time that my youngest makes a new friend at the library or playground and I can go BAM! (remember In Living Colour) and pass one out. Oh yeah, I am going to look so put together. I hope that day my clothes will not have baby food stains and will actually match or my plan may backfire...hmmm. Paperlicious says they have "Hip Invites and Notes" and I have to agree. I loved the designs. Very modern and stylish (or stylelicious?). It was SO hard to pick a design, but I had to go with cheetah print since my whole bathroom is done in cheetah print, tastefully of course *wink*. Okay guys, you don't want to miss this giveaway. To enter: You must be a follower of my blog for any entries to count and you must include your email address! Good luck, US residents only. Giveaway ends Sept. 24, 2010.